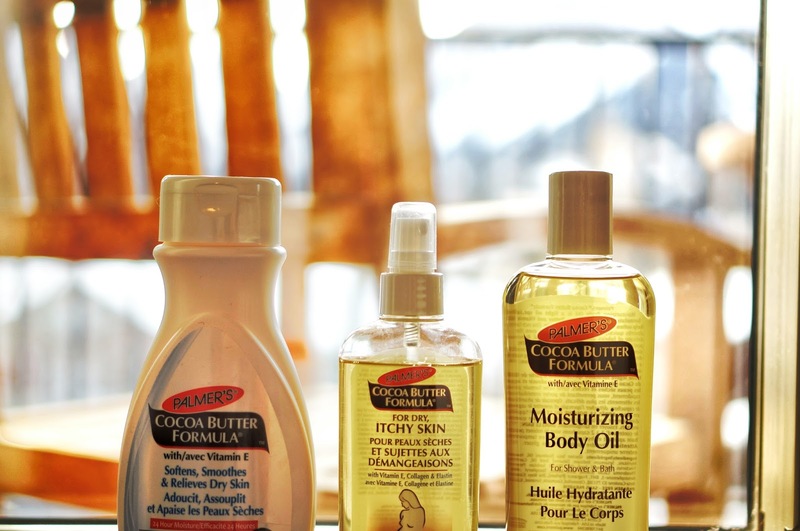 The first one I tried was the Cocoa Butter Formula For Dry Itchy Skin Oil Body Spray*, similar to the Cocoa Butter Formula Moisturizing Body Oil* they're both very nourishing and absorbs super fast. My skin instantly feels nourished and relieved with a velvety smooth texture. The spray is great for the body after shower before the water dries up, so it all absorbs in. And the body oil is great for when you want to relax with a bath and you directly pour it in to the water. I can seriously say that these are the best body oil ever! You won't feel sticky what so ever. And to the Cocoa Butter Formula Body Lotion*, it's a much richer formula and it smells so yummy like chocolate. The consistency is heavier, a great protective barrier that nourishes the skin containing vitamin e and cocoa butter. I'll definitely repurchase these once I run out and put it in my staples list.